Rev. Marco Allan Tinor is the senior pastor of the St. Paul Baptist Church in Pittsburgh, PA. Rev. Tinor was born in New York City and was raised in Allentown, Pennsylvania. He began his spiritual journey at the age of 14 when his youth pastor introduced him to Christ. During his teenage years, Rev. Tinor read, studied, and attended church so frequently that his youth pastor allowed him to lead bible classes for the church youth group. Rev. Tinor said that “it was church that kept him out of trouble and off the streets.” He was baptized at the age of 17. Rev. Marco A. Tinor relocated to Pittsburgh in the year 2000 to attend the University of Pittsburgh where he played college football. He earned his Bachelor of Science in Business Management and Marketing in 2005. During this time, Rev. Tinor joined the Mt. Ararat Baptist Church, and his relationship with Christ and the call for ministry grew under the guidance of Rev. Dr. William H. Curtis. Upon graduation Rev. Tinor moved to Delaware to pursue a lucrative sales career opportunity where he gained valuable sales and leadership experience. Rev. Tinor realized that his call to ministry was more than a feeling, rather it was his destiny. Therefore, moved by the Holy Spirit, Rev. Tinor took a huge leap of faith and moved back to Pittsburgh to pursue his call to ministry and obtained a Masters of Divinity degree, even without the guarantee of a paying job. While back in Pittsburgh in 2009, he returned to ministry at Mt. Ararat Baptist Church, where served as a dedicated Associate Minister. During his time at the Mount Ararat Baptist Church, Rev. Tinor displayed his leadership skills in various positions, for example, working as a mentor for youth, leading the Men’s Ministry, as well as serving as the lead Associate Minister. Rev. Tinor is also trained in premarital and relationship counseling. 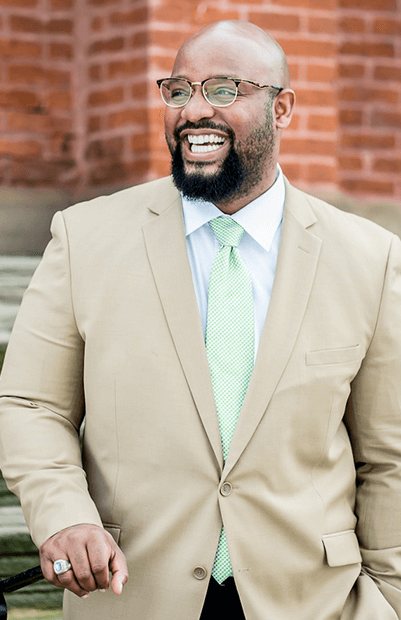 He worked with the nonprofit organization, Together Pittsburgh, where he served as a relationship facilitator across the Greater Pittsburgh Area. Rev. Marco Tinor was licensed to preach in 2010 and was ordained under the leadership of Rev. Dr. William H. Curtis in 2013. He graduated from the Pittsburgh Theological Seminary where he received his Master of Divinity in 2014. During his time at the Seminary, Rev. Tinor served as President of NIA, a student organization designed to promote the needs and concerns of the African American and other minority students on campus. Rev. Tinor also served as the student pastor of the Old Union Presbyterian Church in Mars, PA during the 2012 academic school year. Rev. Tinor is currently pursuing his Doctor of Ministry degree at United Theological Seminary in Dayton, OH. His focus is in creative ministry in a post-modern context under the leadership and mentorship of Bishop Sir Walter Mack, Senior Pastor of the Union Baptist Church in Winston-Salem, NC. Rev. Marco A. Tinor is a proud member of the Academy of Young Preachers National Festival. Two sermons that Rev. Tinor preached at the National Festival, in 2013 and 2015, were published. His spiritual gifts include preaching, teaching, marriage counseling and pastoral care. Rev. Tinor currently serves on the board of P.U.M.P (Pittsburgh Urban Magnet Project). PUMPs mission is to make Pittsburgh the most dynamic and diverse city to live by engaging, educating, and mobilizing all young people to create positive change in our community.